My great-grandparents were preppers way before prepping was a thing. Is there a specific term for preppers who are also hipsters? 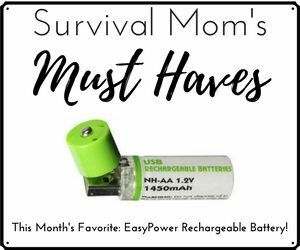 Hipster-preppers? Prepsters? If there is, then that’s what you could call my great-grandparents, Dell and Hildegarde Stringham. They were the original preppers, long before the media started making documentaries about them. Their oldest child was my grandmother, and she has made it a point to tell all our family about their experience with food storage during the Second World War. 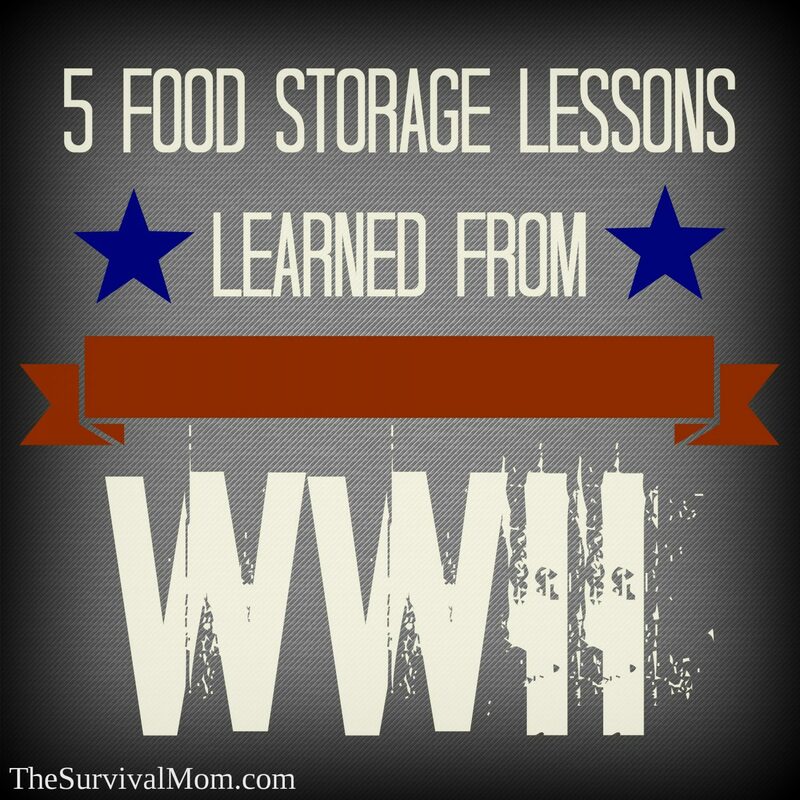 Food storage is an important part of my family’s history, and we have learned much from it. My great-grandfather, Dell, owned a cannery in the 1930s and was a member of a charitable committee for his local church. In 1939, one of the church leaders came to Dell and suggested that, as a member of this committee, he store extra food in his home. The hope was that other community members would follow the Stringham’s example. In 1939, America had not yet entered World War II, so there did not seem to be an immediate need for food storage or emergency preparedness as we think about them today. This was also well before rationing. The United Kingdom did not ration food until January 1940, and the United States did not follow suit until 1942. The suggestion to store food may have seemed strange in 1939, but by the time the United States became fully embroiled in the war, it proved to be extremely good advice. Lesson One: You can never have too much. NOTE: A significant point here is that you can never have too much of the right foods! The lesson is to stock up on foods that will last a very long time and can be used in a variety of ways. 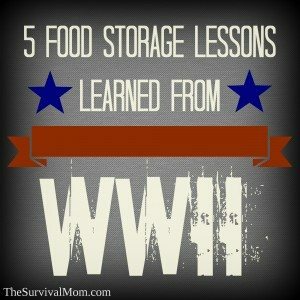 Lesson Two: Build up your food storage supply now and not after rationing starts. TIP: A number of interesting food dishes came from this time in history. Lesson Three: Sometimes it is better not to advertise exactly how much you have in your house. During this period, the concept of “fairness” was very much in the public consciousness. Perhaps some didn’t think it was “fair” that the Stringham family had so much food in their house, even though they had the same ration cards as everyone else. With a surplus on hand, they were able to help others, but if their food had been confiscated or stolen, they would have had nothing for their own survival nor that of anyone else. Lesson Four: Money you don’t have to spend on food can go toward other necessities. Lesson Five: The best way to learn the ins and outs of stored food is to store it and use it. Do any of you have stories about food storage in your family history? We’d love to hear about them in the comments! Food storage can be complicated when you begin researching and getting information from sources all over the internet, in books, YouTube videos, and social media. A single online course, “The Top 10 Foods to Store” removes all that confusion and spells out exactly what to stock up on, how to identify what your family will eat, and then helps you plan how to put the foods together to create delicious, homemade meals you can enjoy, even in a major crisis. Learn more about this class at this link. Once you’ve registered, you’ll get immediate and lifetime access. 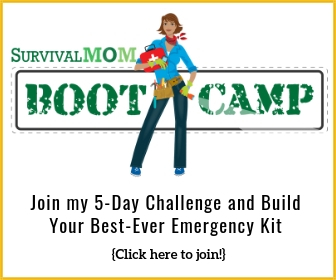 In the confused world of prepping, this class, taught by The Survival Mom, brings clarity, focus, and much-needed help for moms who want to get their family ready for emergencies. I spent my summers on the farm when I was growing up. Whenever a crop came in, there was a tremendous, group effort to put it away. The women in the family, in laws and all, worked together. Later, everyone took some home with them. Also, the work had to be organized around meal times, because the food for all the family and the farm hands was made c from scratch. I’m young (43) compared to many who write that their great grandparents or grandparents lived through WWII…my father SERVED in WWII and my grandfather served in WWI, so my parents grew up during the great depression. I remember my mom ALWAYS canning or freezing extra veggies & fruits. We always had a large garden, too. The first 9 years of my life were lived without running water or indoor plumbing…my mom had a HARD life. We never called it food storage back then, it was just “putting up” the garden, etc. There were 8 of us kids, 4 boys and 4 girls, by the time I came along my older siblings were getting married, I grew up with my nieces & nephews. I remember my oldest sister had a huge garden, too, and she and my mom would spend a day picking blue berries or black berries or strawberries, and the next day making jams, jellies, and freezing some whole. I remember my sister-in-law freezing grape to make grape jelly at a later date. My dad and 4 brothers would always go hunting and we’d be so very happy if everyone got a buck for the freezer! If my mom could make a pound of ground beef stretch to feed 10 (probably 9, since I would’ve been inutero or an infant when my oldest brother still lived at home), there is absolutely no excuse for any of us not to be able to feed our own families well. Beautifully said, Sharon. Thank you! My Grandma suddenly found herself widowed with 5 children and no marketable skills in 1939. 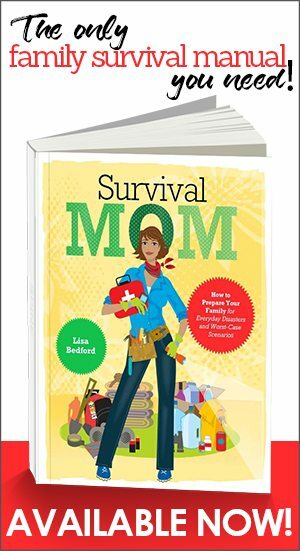 I ougta write a book about the survival stories! One of the things she told me was that people now don’t understand something about the Depression: yes, banks folded and your money was gone and everyone became more expensive. But there were some goods that were simply unavailable at ANY price. She said to always have seeds stored to grow your own food, even if you normally don’t garden. She said nobody could afford to pay money for them and they were almost as expensive for barter. At one point, she got her hands on a large amount of seeds for a new, exotic thing because other traders didn’t know what it was : “Some Eye-talian somethin’ or other”. Broccoli! The local Amish told her how to grow it and they lived for several months off the broccoli money. Oh, and you’re right about keeping under the radar to some extent or another. And there are lots of articles here on TSM about Op-Sec. About 10 years ago, an old man told me about growing up in Hawaii during the war. One day when he was 10, after his father had gone to work, armed officials came and raided their house. They threatened his mother and ransacked the house, accusing the family of violating anti-hoarding laws and demanding to know where their stash was . One of the men put down the list of “suspects” they were raiding that day while he was trying to force open a stuck door and the boy recognized most of the names on it from Church. Can you guess which Church? I confess I am a little fuzzy as to where the line was drawn during the Wartime era between legally having “food storage,” and “hoarding.” I have tried to look up the legal definition from that time but haven’t had much luck. From what I understand, if you already had the food in your house and if it was for personal use (i.e., not for resale) it was ok. I wish the distinction were more clear, however, because that is something that we may well run into into the future. There have been rumors in recent years (and I am not sure how reliable these rumors are) that federal agents have attempted to get information from religiously-based food storage centers on who has more than two weeks of food at home. I read an article several years ago about the governments ability to confiscate food from individuals if they felt it constituted hoarding. Until then I never dreamed that it would be legal for soldiers to bang on my door and take whatever they felt was more than what I needed. I never advertised my food storage before that anyway, but since then I am even more careful. I agree, Charley. The plans in place to initiate martial law allow for virtually no freedoms and gives government entities the ability to confiscate at will. That may seem to be an extreme scenario but then, many of the events we’ve witnessed over the past several years once seemed unthinkable. 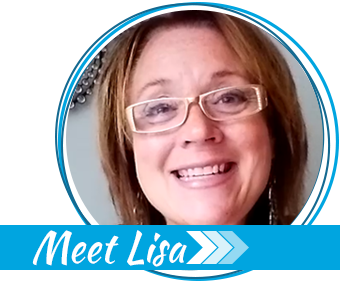 Lisa, those are wonderful points. I feel that normalcy bias often inhibits people from believing that our current reality can be turned on its head. Unfortunately, all one has to do is look to other countries and see how quickly things change when those in power don’t act in the best interest of the people. Heck, take a look at what has happened in Venezuela. Weevils did not “get into the flour.” The eggs were there when you bought it. Mama (born in 1921) said her mother used a sifter to remove the weevils. I would probably not eat that flour. But, if things were tight, I would sift the flour and use it. My grandmother was pregnant with my mother and had two toddlers when my grandfather was shot. So, she lived on the “Old Home Place” with my greatgrandparents. Mama grew up there and told me many stories of the Depression. I have read several places that if you declared all your food and it was more than the amount for one ration stamp, the OPA took ration stamps away from you. Having a “hidden stash” of food storage is a good Idea.leave some in the cupboards for the powers that be to find.,having more to see you through those really rough times you will be glad to have your “hidden stash” of food for you and your family. try for 6 months to a year of “hidden food” for each member of your family( if possible ) remember water,first aid supplies,antiboitics. Information from wartime practices and from what the Soviet people did after the fall are valuable. Before we started writing these things down, most people lived hand to mouth. THAT goes back tens of thousands of years. We need to learn what our families did to survive. And we need to learn how to do it in the dark. I agree 100%! Also, you might want to look up a youtube video on Cuba: surviving peak oil. Whether you believe we have already hit peak oil or it is looming in the near future or don’t think there is such a thing, the information about transitioning from a petroleum based agricultural system and feeding yourselves in hard times is invaluable. I read your article whenever I come across it, You provide a lot of information that I can use. So instead of helter skelter , I hope the email will help me more, My interest is to “NOT” bug out , but to stay home. I am 71 years an my wife is handicapped , So bugging out is not possible. Water storage, food storage, an home protection are my interests , I am now researching home canning Instead of buying MRE’s or other food reserves. Thanks for all your efforts an information. CY. Put your flour in the freezer for 2 weeks and kill the weevil eggs. Then put it in storage. I am reading a wonderful book right now and she often talks about how scarce food was, the lines she would stand in to get it, and how she made meals with little. Keep in mind, the war went on for years, and then even afterwards there was rationing. One of my favorite journal entries was when the doctor stopped by to visit and looked with longing on her loaves of homemade bread. His wife couldn’t bake and really couldn’t cook as they had always had a kitchen maid. (During the war, you couldn’t keep help as they were needed for the war effort.) For those who might be interested, the book is: Nella Last’s War, The Second World War II Diaries of a Housewife. In reading this, I feel like Nella was a dear friend writing to me through time, telling me about how they coped during this time, what they feared, and the trying time it was. I always freeze flour for 2 weeks or more. Then put into large kitchen bags with a couple of bay leaves. The bags are tightened and put into totes and then into storage and have never had a problem with weevils. I remember going to school with stained hands from shelling purple hull peas, and other stuff, towards the end of each growing season. People thought we were crazy to can everything ourselves, when it could be bought from a store.. Yet it was how I was raised. To can what was in season, so we would have it later, out of season. That and to always have staples on hand. Our meat was purchased yearly, when time for the slaughter came. The smoking was done at my great-grandparents farm, w here my great-grandmother still rendered lard in a huge cauldron, over a fire under a tree. She made her own soap, and I remember attending a quilting bee, with her. Still cooked in a wood burning stove, had water pumped from the well, and heated it on the stove for baths in an old number 2 wash tub, and still had an outhouse. The last time I was there, I took my kids to see it, that was in 1986. I grew up with Grandparents who lived through the depression and WW II. I thought everyone had a basement with shelves were full of canned goods and stored supplies. My Grandfather did all the shopping and we could of lived for a year on what was in that house. I am so thankful for that upbringing especially in today’s times. Thank you for the great post and the memories. I have been in the preparedness business for 25 years now. This advice is sound. I cannot tell you how many times we have had a crisis hit and my suppliers have their warehouses drained in hours. Then people call and wonder why there is a 3 week back-order. The time to prepare is now, not when a disaster happens. That is even more true today. With the Pacific Longshoremen strike happening right now, some of the major suppliers are having issues that will go far into this year. Oh, and the silliest comment I hear is “I don’t have any room for food storage”. Really? Comments like that are going to seem very foolish when children are sitting around the table and there is little or nothing to eat. Someone coming to take away your stored food to “share” with the others who did not prepare is not out of the realm of possibility. I wonder, however, whether they might hesitate to take your home canned foods. They have no idea whether you canned everything according to the rules. You might be introducing botulism to the needy. Also, if your food was swimming in the pond and growing in the garden, it wouldn’t be something they could take, would it? Most people don’t know what to do with basic food because they don’t know how to cook from scratch. I’m thinking they would confiscate packaged store-bought foods before taking your home canned stuff. Might be good to have a cache of food offsite (at least out of the house) for a backup. I don’t think I am paranoid, but I want to cover all the bases. Again, does anyone know the difference between being well prepared and hoarding? Thanks, everyone, for sharing so many interesting family stories! Here’s a fun morality tale about rotating whatever food you store: I was at my grandmother’s house earlier this week and I saw she had a can marked, “Dad’s Wheat.” That is, wheat that used to belong to HER father, Dell Stringham. He died in 2000, so she has had it at least since then, but I don’t know how long Dell had it for. Mark – Unfortunately, the bay leaf method has been proven to be bogus. Freezing your flour, however, is known to have good results. Even more unfortunately, nothing will keep your flour from going rancid if it is not rotated out in a timely manner. Enjoyed that story very much. I think living simply, being self-reliant and and storing food away are ALL older concepts. Thanks for the tips, which are always so valuable when they come out of personal experience. most of the info in the article isn’t showing up. My parents were children in Holland during WWII. Mom grew up on a farm, and had a large family. they had their own food due to growing gardens and putting things up. Grandma used crocks to put up eggs, veggies, and layered meats in lard to preserve. My mother still remembers people who looked almost like skeletons knocking on their door begging for food. She immigrated to America, and married a Dutch boy here. They taught us how to grow large gardens and put up our own food. We grew our own meats or got them from hunting or fishing, and it all got put up. Those traditions have passed down to myself and siblings. Just to do what comes normal to use has helped get through times of unemployment and stress. It’s just a smart way to live. And shall I say a little healthier also. A book you really MUST read is “When the Banks Closed, We Opened Our Hearts.” It is a compilation of stories from readers of Reminisce Magazine. They also wrote “We Had Everything But Money” (haven’t read that one). When I was growing up in the late 50’s to early 70’s, we lived on a small farm in Northern Idaho. We lived like it was the 40’s and didn’t have a lot of money. We grew a big garden and canned what we could (thank you Mom for teaching me how!). We would head up to the local hills and pick huckleberries (jam and pie), elderberries (jelly), mushrooms, and any other edibles we could find (and also cut firewood for our heat source). We had to head to a lower elevation to get bushels of fruits (except apples which we could grow) because it was too short of a growing season and too cold for fruits like stone fruits, pears, etc. We canned the fruits for use until the next growing season. There were very few things that we bought at the store except things like toilet paper (used in our outhouse for the first 5 years we lived there), rice, occasional tropical fruits, and oysters (? – not sure why but they were a rare treat!). We also had a couple dairy cows, pigs, a flock of chickens for eggs and eating, ducks, and horses. Us kids had to do our barnyard chores before breakfast and dinner. Mom baked all of our breads, meals, and desserts by hand – no boxed foods except Jello. The pectin to make the jellies and jams was made from green apples. One of the first things we did when we moved to the farm was to build a fallout shelter by digging a basement by hand. All of our canned products, potatoes, apples, and squash were stored there for the winter. We also dug a second well by hand for the livestock. Mom and Dad instilled a sense of self-reliance in me and I’ve continued it to this day. I totally agree with the posts above that the need for preparedness is before it is needed and not one millisecond after. My dad hurt his back and had to undergo surgery in the early 60’s. He was out of work for 6 months. I remember that Mom rationed food just like in the 40’s because she didn’t know how long Dad would be off we. The menus were boring but filling. Nothing about our farm life was easy but I wouldn’t trade the lessons I learned for anything. I agree. Most of us in the Western world are so used to an easy life that I think most have lost the ability to invent, adapt, and come up with creative solutions using only what’s immediately at hand. my name is mike and I loved going to the country to spend summer with my grand mother.old out house,sears catalog,the best memories I have is helping ( being allowed ) grandma make apple pies and bread from scratch!!! The smells of apple pies baking,trully home made from scratch. And oh,that wonderful taste of bread fresh out of gramas wood stove.Yes had to wait until the bread was not to hot for our little mouths,but still hot enough to melt butter!! My husband often talks about his mother who was a depression child. She said as kids they never really knew there was a depression. They always had food and flour sack clothes. Use it up, wear it out, make it do,or do without. I try to live by that motto. Sure makes you think.